The deadline for entries to the Allingham Festival Songwriting Competition has been extended to midnight on Friday October 8th. Spread the word! 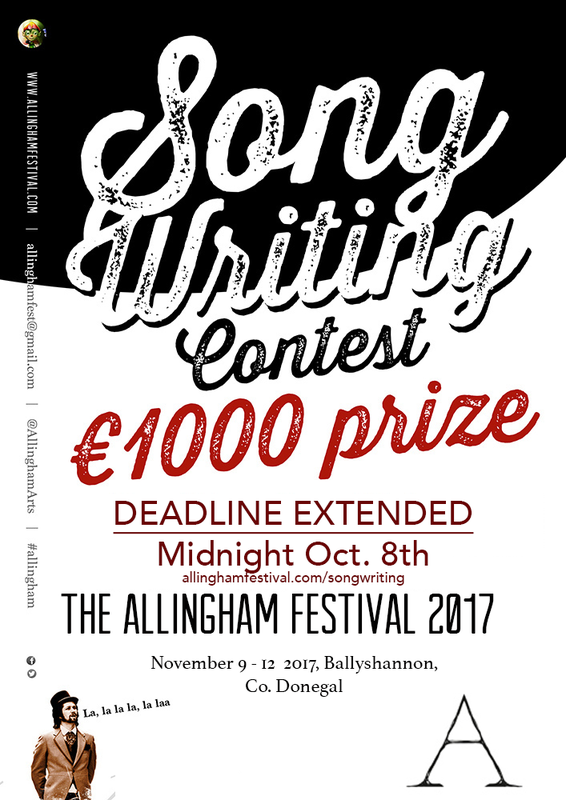 If you didn't get the chance to enter the first time, now is the time to upload via our website www.allinghamfestival.com/songwriting, or to post your entry with payment to Allingham Songwriting, A Novel Idea, Ballyshannon, Co. Donegal.